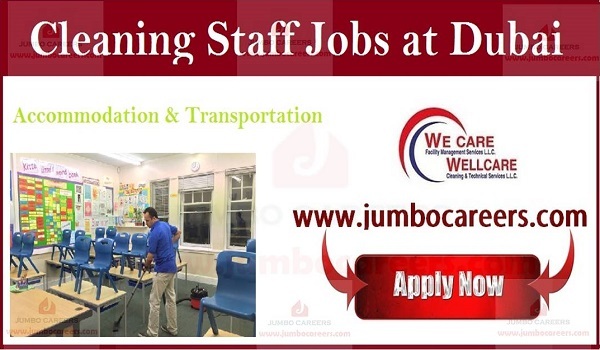 WellCare Cleaning and Technical Services Dubai conducting latest walk in interview at Dubai for hiring cleaning staff. Any nationality can apply for this post. Location : WellCare Cleaning and Technical Services, Office #1103, Al Ameri Tower, Next Dubai Internet City Metro Station 2, Near Grand Millennium Hotel, Al Barsha Heights, Dubai.